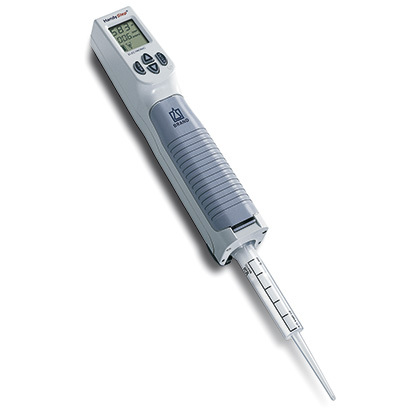 Product and ordering information for the HandyStep® repeating pipette; rapid and reliable manual or electronic repeat pipetting with an open design that allows 3rd party tips. 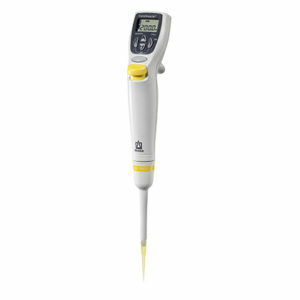 BrandTech® offers a repeating pipette in both a manual and electronic version. 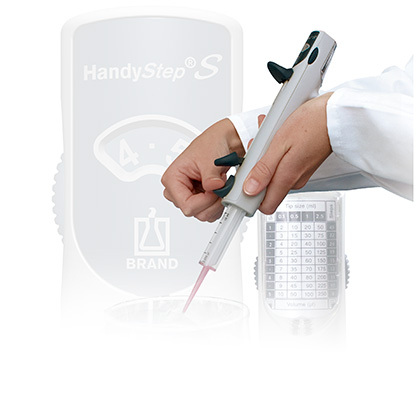 The BRAND HandyStep® S provides unprecedented versatility in a purely mechanical repeating pipette. In conjunction with ten sizes of PD-Tip™ syringe tips, it offers nearly sixty different volume settings with accuracy, precision and dependability. The slim design of the HandyStep® S is lightweight, well-balanced, and provides a convenient control layout for smooth dispensing and one handed volume selection. 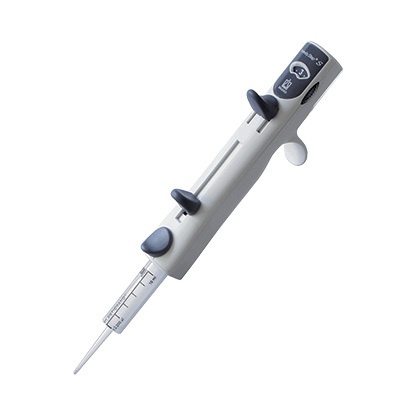 The HandyStep® electronic is an ergonomic alternative to conventional repeating pipettes. When using our unique Auto-dispense mode, it can reduce repetitive pipetting motion by up to 97%. It is compatible with all standard syringe tips. Because of its broad tip compatibility, the HandyStep® electronic can dispense any volume between 1.0µL and 50mL, including non-standard volumes such as 9.2µL, 25µL, 260µL, or 1250µL. The HandyStep® S is supplied with a performance certificate, shelf/rack mount, one each: 0.1mL, 1mL and 10mL PD-Tip™ Precision Dispenser tips, operating manual and two-year warranty. 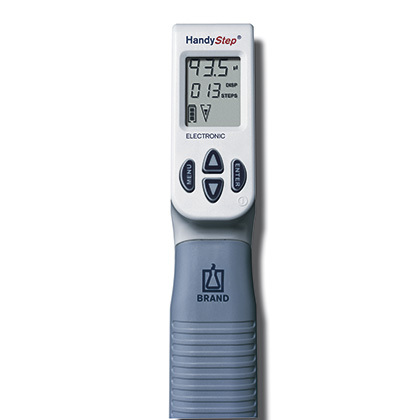 The HandyStep® electronic is supplied with a performance certificate, NiMH battery, charging stand with power supply, 5 assorted PD-Tip™ Precision Dispenser tips, operating manual and one-year warranty. Which repeating pipette tips work with my HandyStep® repeating pipette? 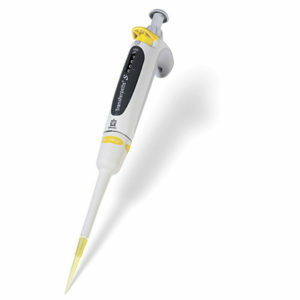 The HandyStep® repeating pipette is designed to work with all standardized repeating pipette tips. These include BRAND PD-Tip™ syringe tips, Fisherbrand tips, VWRbrand tips, Ritips, Labnet Combi-syringes, Rainin Encode tips, and Eppendorf Combitips. They will even work with the proprietary-design Eppendorf Combitips Advanced. Other proprietary designs, like those from Wheaton, Oxford and ThermoLabsystems will not work with the HandyStep®. The HandyStep® electronic will automatically recognize the size of BRAND PD-Tips™ and Rainin Encode tips. How do I calibrate my HandyStep®? A Standard Operating Procedure (SOP) for gravimetric testing of the HandyStep® is available on this website: click here. Because the instrument and the syringe tips are equal partners in the accuracy of the instrument, if you find that your instrument is not performing to specification with third-party tips, we recommend that you try BRAND PD-Tip™ syringe tips to confirm the source of the error. PD-Tip™ syringe tips are supplied with a Certificate of Performance in every box. It should be noted that bubbles in the tip are also a common source of error. Adjustment of the instrument by the end-user is not possible. If you find that your instrument requires adjustment, we recommend that you contact BrandTech® for authorized service. How does my HandyStep® S work? The HandyStep® S has a series of finely machined notches into a corrosion resistant rack that moves the piston of the PD-Tip™ the indicated number of millimeters for each movement of the actuation lever, depending on the setting. These correspond to 2%, 3%, 4%, 5%, 6%, 7%, 8%, 9% and 10% of the nominal capacity of the tip used. How do I fix my HandyStep®? The HandyStep® has a number of small parts inside. We do not recommend opening the instrument, as it is unlikely that you will be able to reassemble it correctly, and doing so will void your warranty. We recommend that you contact BrandTech® for authorized service. Why does the frame around my battery charge icon on my HandyStep® electronic blink? This indicates that the instrument has not undergone a full battery charge/discharge cycle with the battery inside the instrument, and as such the battery charge indicator is not as accurate as it would be otherwise. How long does it take to charge the battery in my HandyStep® electronic? 2.5 hours with the battery removed from the instrument, 3.5 hours with the battery inside the instrument. Approximately 2.5 hours of continuous pipetting with a 12.5mL tip, for liquids with a viscosity and density similar to water. Because of the amount of friction, and liquid moved varies with the size of the tip, larger tips have shorter charge life, while, conversely, smaller tips provide less of a drain on the battery. The display of my HandyStep® electronic shows "ERR 00x." What should I do? ERR 001: Tip recognition error, or locking lever not engaged/open. ERR 002: This error indicates a motor strain or blockage. If a tip or adapter is stuck, do not attempt to remove it as this could cause further damage to the instrument. ERR 003 or higher: These error messages indicate an electronic failure. For all error messages - press enter to confirm, and follow the MENU instructions. For more detailed instructions, see the operating manual. If it is not possible to clear the error after following the instructions, Contact BrandTech® for repair. SOP's are available right on this website: click here. Additionally, all of the SOP's for BRAND's liquid handling instruments, as well as the BLAUBRAND volumetric glassware are compiled in EASYCAL™ 4.0 for easy reference. 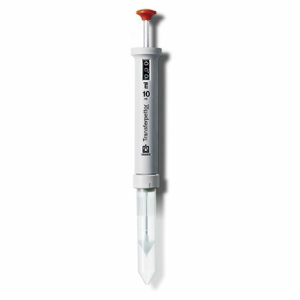 Note: Instrument and tips are not autoclavable (BIO-CERT® PD-Tip™ syringe tips are available). For disinfection of instrument you may use commercially available disinfecting solutions as long as they do not attack PC/PBT or damage the display on the HandyStep® electronic. PD-Tip™ Syringe tips - Available in 10 different volume sizes; non-sterile and BIO-CERT® sterile. Adapters - For 25mL and 50mL PD-Tip™ Syringe tips. Shelf/Wall Mount - Saves bench space. NiMH Replacement batteries - For the HandyStep® electronic.